A Sylff Leadership Initiatives event was organized in Hungary in September 2017 to look to the future of the country and underline the importance of the role of civil society. A group of Hungarian Sylff fellows organized the event, held on September 8 and 9, combining a forum for academic discussion and analysis and on-site visits to areas outside Budapest. The title of the event was “Own Fate: Self-Managing the Future,” focusing on the role of bottom-up local initiatives in promoting Hungary’s sustainable economic development. A report of the event will soon be published on the Sylff website. Members of the Hungarian Sylff Association with Mariann Tarnoczy (standing to the right of the banner) and Evelyn Kutari (standing to the left). A member of the Sylff Association secretariat read a message from Association Chairman Yohei Sasakawa, who noted that the Sylff mission is to nurture young leaders with the ability and enthusiasm to address local and global issues from a broad perspective. Hungary was one of the first countries in Central Europe to join the Sylff community, with the Hungarian Academy of Sciences being endowed in 1989. It was a time when the transition to democracy was gaining momentum in the region, and Hungary played a leading role in this movement. Thirty years have passed since then. Hungarian society has undergone sweeping social and political changes, and the economy has achieved remarkable growth. The forum examined ways to make fuller use of the resources and skills of civil society in pursuing sustainable development in the future. The forum and on-site visits were well attended and marked by lively debate. The event also presented an opportunity for Hungarian Sylff fellows from the past three decades—many of whom have become faculty members at Hungarian universities—to reunite, exchange views, and learn from each other. Sylff fellows from other universities were invited to attend as well, including a Sussex fellow who originally hails from Serbia. One of the main organizers, in fact, was Loretta Huszak, who received a Sylff fellowship while attending the University of Leipzig. We were pleased to see Sylff taking firm root in Hungary, and it will no doubt grow even further in the future, as symbolized by the ceremonious planting of a “Sylff tree” by members of Hungarian Sylff association in a park participants visited on the second day. 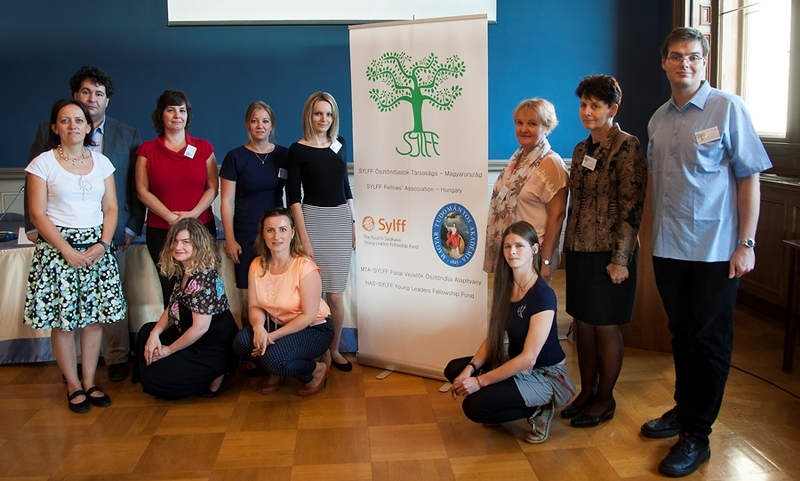 Behind each successful Sylff program is a key Sylff steering committee member, and in Hungary’s case, it was Mariann Tarnoczy, who has been working with Sylff at the Hungarian Academy of Sciences since the program’s inception. We were very sorry to hear of her plans to step down in October, but during the event, a heartwarming ceremony was held in appreciation of her longstanding contributions to the program. The Sylff Association secretariat expresses its deep gratitude to her and welcomes Evelyn Kutari as her successor.